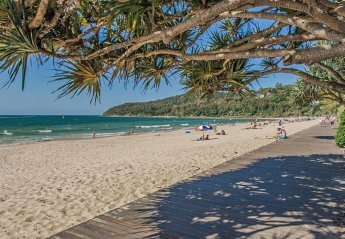 Found 10 holiday rentals in Queensland. 3 bedrooms with 2 bathrooms accessed by elevator. 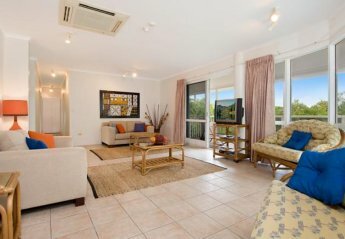 Very spacious Penthouse apartment within easy walk of the beach. Fully refurbished apartment with new bathrooms and new kitchen. Very spacious 3 bedrooms, 2 patios, BBQ, lock up garage, full air conditioning, NetFlix TV & free Wi Fi. 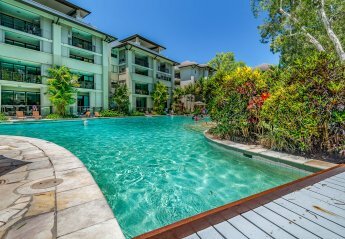 2 bedroom 2 bathroom apartment overlooking Lagoon pool. Access by elevator. Fully furnished and air conditioned. Free wi fi. 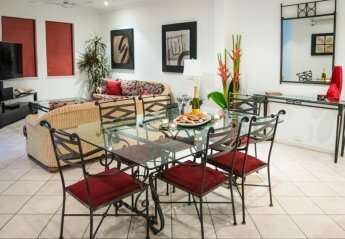 Lovely 2 bedroom 2 bathroom apartment overlooking the Lagoon Pool. 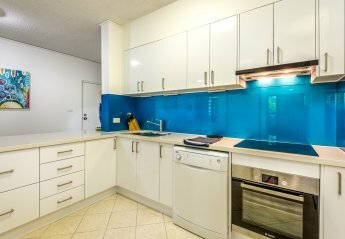 Beautifully presented 3 bedroom 2 bathroom very spacious apartment close to the beach. Fully air conditioned, free wi fi, net flix tv and free parking. 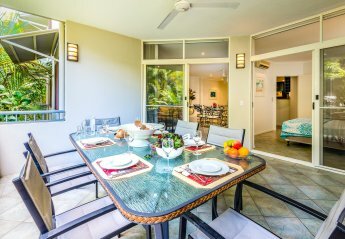 Palm Cove 3 bedrooms with 2 bathrooms 250 metres back from Palm Cove Beach and numerous award winning Restaurants. Fully air conditioned and sleeps 6 persons. 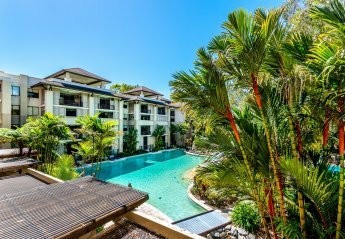 This large self-contained three bedroom apartment is light and spacious and conveniently located within walking distance to Hastings Street, Main Beach, Noosa Junction and Noosa National Park. 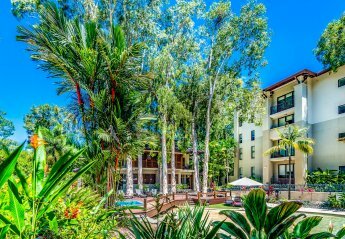 Sails on Blue Lagoon Tweed Heads Coolangatta Queenlands offers stylish accommodation in the most unique position anywhere along the Gold Coast through to Coolangatta and south to Byron Bay and only 5 minute from the airport. 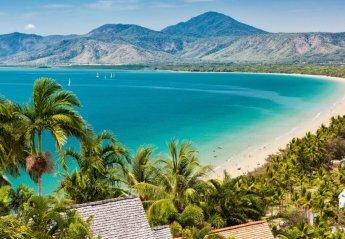 We found 10 holiday rentals in Queensland.